As the name suggests, this percolator can brew 12 cups of tea in just under 2 minute. It comes with a stainless steel body polished to a nice finish with a nice gripped handle. 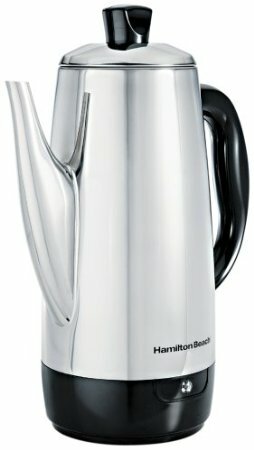 The percolator has an automatic “keep warm” setting that makes sure the beverages are always at the right temperature.